One thing you can't accuse Chilean developer ACE Team of doing is ploughing the same, well trodden ground as other indie devs. Its debut hit Zeno Clash combined a surrealistic art style with first-person, melee combat, while the studio's follow-up title, Rock of Ages, combined Super Monkey Ball with a Monty Python-esque romp through classical history. 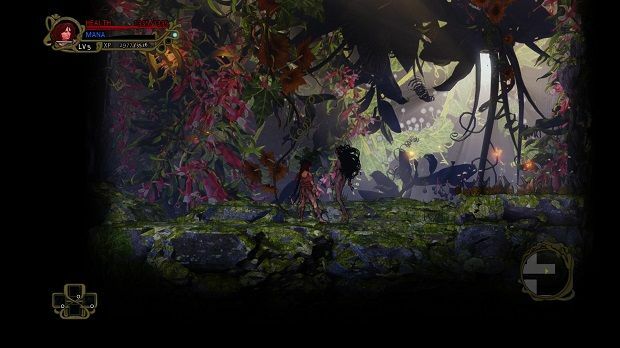 Abyss Odyssey is the studios' third original title and again, its setting is unique from anything else I've seen in videogames. The structure of the game different, too -- a combination of procedurally-generated levels, 2D platforming, intricate combat systems and online, community-driven progression. It doesn't always fit these elements together seamlessly but when it does, Abyss Odyssey still has that "just one more go" factor. Santiago, 1890: strange cracks in the ground have appeared across the city, revealing a nether realm of monsters and unusual beings. While the army tries to hold back the nightmarish tide, a strange woman appears, brandishing a sword and leaping into the fray to fight back. Her name is Katrien and she reveals these creatures and the Abyss itself are aspects of the mind of a powerful warlock. All of this is the setup of a particularly unique type of roguelike, a game that's closer to the recent Sunless Sea than The Binding of Issac or Spelunky. Those two games were more centered about you gaining knowledge and experience to help you progress a little further each time but Abyss Odyssey is built more about repeating levels and grinding XP to help the player progress. 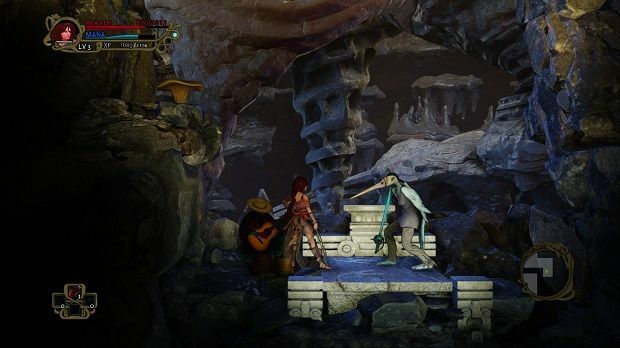 While Abyss Odyssey has permadeath of sorts, it's not implemented in the ways you're used to; for starters, if Katrien or one of the other player characters should fall, a soldier will take over and can revive the fallen hero if they're able to get to a shrine that might be in the level. This is neat because the soldier will level up along with the main hero (but will still be the weaker of the two). Sometimes it's easier to just run away from combat and try and find the nearest shrine, especially if you passed one on the way. 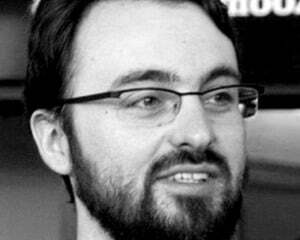 Players will retain XP and their level between deaths, along with any money they've found. This is where the real progression lies as the more a player levels up, the easier the enemies will be in the earlier dungeons. There's still some difficulty spikes though, like some mini-bosses that will dish out a real beating even if you've breezed through the upper levels. It's here where frustration can set in as progress can feel quite slow at times, especially when you've replayed the opening few levels eight or nine times already. The procedurally-generated layouts aren't varied enough to make each run stand out, so you're left with a feeling of spinning your wheels while slowly getting your rewards. There's three entrances to the Abyss, each with its own set of levels descending deeper and deeper into the ground. Each level is procedurally generated and the difficulty level will be different each time you play, although that really only manifests itself in the enemies that you encounter. Things like spikes and lava pits don't drastically increase the challenge and in the first few hours, you'll only see a handful of enemies. The difficulty will ramp up to the point where you're going to just whittle down the amount of health you have until your eventual demise. Don't be fooled, though -- enemies are still tough to deal with even on Easy levels. Undead soldiers and the freakish-looking, armless birdmen are tricky on their own but once you're facing two or three of them at a time, it becomes really important for the player to keep their guard up and pick off the weaker enemies first. They'll dodge projectile attacks and will chase you down, although there were plenty of times when I was slightly higher up than some enemies and they simply left me alone to wail on a single opponent without joining in. Some have counter attacks that will flip you up into the air leaving you vulnerable to combos and others will wield poisoned or cursed weapons. In a nice touch, it's clear when enemies are holding special weapons and things like keys, which makes it easier to know who you should take out first. 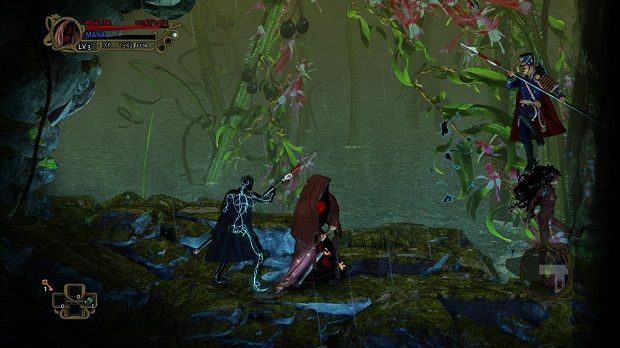 The combat in Abyss Odyssey is surprising in its depth. Each character can only wield one main weapon (different soldiers wield different firearms as their special attack), but there's still a lot to master. Enemies are smart enough to dodge and weave out of the way of your attacks, even at the easier difficulty levels. Swipes can hit enemies that are behind the player and while it's tempting to just button-mash, it's much more effective to get in a few hits between blocks. One frustration is that it's easy to get your character facing the wrong way. Katrien is the more balanced of the three playable characters, especially in terms of speed when compared to the Ghostly Monk. There's a range of moves that all characters have, from cancelling out of the special attacks to utilizing the air dodge to launch a new combo. While I'm hesitant to say Abyss Odyssey has the same depth of moves as something like Street Fighter IV, it has a much more robust fighting system than you'd expect from a game that appears to be a 2D action-platformer. The addition of two-player co-op makes fight sequences even more frantic and enjoyable. Another neat feature is the ability to possess enemies and use them as a secondary character. If you can accumulate enough mana, you can unleash a binding spell that will capture an adversary and allow you to flip between them and your main character. Your captured character has a separate health bar, so it's worth alternating between the two and taking advantage of any health drops to get your main all healed up. However, it would have been nice if this was explained at the start of the game; a lot of the small fundamental mechanics aren't properly introduced, which maddeningly enough extends to the no-death tutorial/prologue at the start. There are markers that point out where you should block, dash, and so forth but there's no button prompts to tell you how to actually do those moves. I had to exit to the main menu and look at the controller config screen to figure out what I had to do. That sense of discovery can be exciting to some but here it feels like a barrier to progress. In a game like this where mastering the mechanics is key, there's a lot to learn early on in Abyss Odyssey and it can feel slightly overwhelming. Once you understand that you're only expected to get so far in, die, and come back again, you'll be able to get into a groove that allows you to explore further and further. While it would be nice to see some more variety in the level layouts and early enemies, there's still a really enjoyable and deep combat system that's reason enough to descend into the Abyss.